"When planning an event like our daughter's wedding, the one thing most people don't think of until they "need" them are bathrooms. Jazzy Johnz were the perfect solution for the wedding. Delivery, set-up, and pickup were all professionally handled and on schedule. The facilities themselves were EXCELLENT! We had nothing but complements from our guests." "Wedding planning can often be a happy but stressful time due to all of the decisions, but Jazzy Johnz was an easy choice! I was nervous to get a quote just because the bathroom trailers are so luxurious, but the prices were very reasonable! I was very pleased with my purchase as were all my guests. I had multiple friends and family come up to me and rave about the bathrooms, as well as my marriage of course :) But not only was the quality of the product fantastic, the staff behind it were amazing as well. I got responses to emails very quickly and they were able to drop off the trailer at my convenience with no issues met at all! Jazzy Johnz truly exceeded my expectations from the amazing trailer to the thoughtful and professional staff. I would highly recommend their services for any event, whether it is for a wedding or other special occasion!" "We, at Inifnity Farms, were extremely impressed by Jazzy Johnz both during a Thanksgiving weekend and recent 40th Milestone Birthday celebration. We found the service to be not only exceptional but also the facilities were beyond clean and comfortable. Mostly, the willingness to serve our venue was the deciding factor. Extremely kind and hard-working owners with a mission to serve. Beyond highly recommended. Thank You!" "At our son's recent wedding, we received as many compliments about our Jazzy Johnz as we did about the food and live music, both of which were spectacular. Their product is superb and their personnel were a delight to work with." "We can not thank Jenee & Tim enough for their hard work, professionalism and friendly service throughout our event. They were extremely flexible with all the last minute changes and always assisted with a smile! Their luxury bathrooms are truly above and beyond what you expect with bathroom trailers. All the little things - mints, fresh flowers, amenities - are the icing on cake! Highly recommend this amazing company!!!!" "Jenee was an absolute pleasure to work with throughout our wedding planning process. Initially we were on the fence with whether or not we needed bathrooms for our ceremony so we reached out to a few places for quotes. Jenee was quick and thorough in her responses but never pushy. We ultimately decided we could not have people in formal attire for a wedding ceremony in a park and provide refreshments and not have an appropriate bathroom set up. These trailers far exceeded anything we could have imagined and many of our guests thanked us for having this as an option! They were so clean and looked just like actual, nice bathrooms with toilets and sinks! There were even flowers inside! They seriously think of everything and we could not be happier with the quality of service provided by Jazzy Johnz!" "Thank you Tim and Jenee for bringing Jazzy Johnz to the Making Strides Against Breast Cancer walk in Biloxi. What a treat for our walkers to have such luxurious facilities along the route this year! We had lots of great comments and we appreciate the special slide show for our breast cancer survivors and participants. You even had pink flowers for us! If anyone is looking for a more comfortable and better experience for your guests, I highly recommend Jazzy Johnz." "For anyone planning an outdoor event, I highly recommend this company! We rented their toilet trailers for the wedding, and they were amazing! The restrooms were beautiful, complete with fresh flowers to match the wedding, they piped music of our choice, they're climate controlled, and even had a basket of mints to freshen your breath!! Lol! The women's side had a beautiful fireplace and it even smelled amazing, no Port a let smell here. Also they were so professional, they furnish an attendant to remain there keeping the trailer clean and stocked with paper etc. if you need this service contact them today!" "Would recommend this service highly. The restrooms were extremely clean and well maintained during our daughters wedding reception at our home. Many comments were how nice they were." "These restrooms were absolutely amazing. My guests could not stop talking about how impressive they were. Clean, upscale.. I couldn’t have asked for any better for my wedding. And the price was great- much better than the local competitors. Also the owner is super friendly - excellent service! I highly recommend Jazzy johns! "Jazzy Johnz was AWESOME!!!! Jenee and Tim were amazing to work with. We had an outdoor ceremony and barn wedding so the cold A/C was wonderful. There was music playing in the trailer and Jenee even took the time to put flowers in thr trailer that matched our wedding colors and the vases were vintage to match our theme. All our guests couldn’t stop talking about the restroom, it was funny, I think the restroom was the hit of our reception. Great price, amazing updated trailer, and the customer service will not be beat. Thanks Jenee and Tim for helping make our special day perfect." "Tim and Jenee are amazing! I have worked with them now at two separate events and their customer service is top notch! Blown away by the luxury bathrooms!!" "We had a rustic outdoor ceremony at my parents' house and we could not have done it without Jazzy Johnz! The trailer blended perfectly with our outdoor setting. We received so many compliments on the restrooms, which really are fantastic! The service was amazing and the little touches like TVs, slideshows, breath mints and fresh flowers really put it over the top. If you are having an outdoor event, you really need to give Tim and Jenee a call! You will not regret it!" 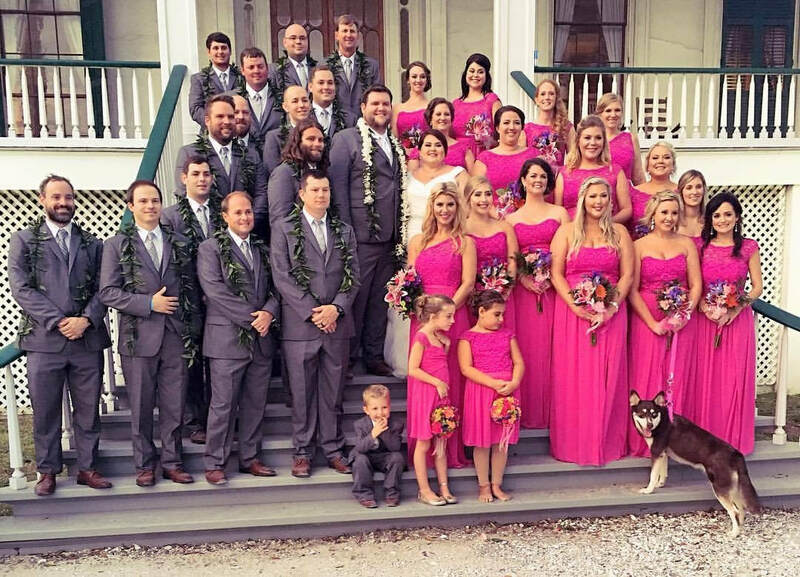 "We loved having Jazzy Johnz at our daughter’s wedding! My daughter insisted we have this. I thought, let people just go inside. Glad she won this argument!" "These bathrooms were sooooooo nice!!!! Everyone at my wedding had such good things to say about them! They were well stocked and were extremely cold on a very HOTTTTT wedding day!!!!" "The trailer was very, very nice. We received lots of compliments on it. I would highly recommend Jazzy Johnz for any event. Service was fantastic." "The bathrooms were amazing with lots of personal touches provided to tie in with our wedding theme. The owners were professional and a pleasure to work with." "I was able to experience Jazzy Johnz at an event I attended. The facility was beautiful and exceptionally clean. It was so nice that I wanted to stay in there since it was nice and cool and the event was outdoors. I would recommend this restroom trailer for any upcoming events that you have. You will not be disappointed!" "Jazzy Johnz was a tremendous asset at our site dedication this week. Our outside event was extremely hot but just a short visit inside to the air-conditioned, clean restroom to freshen up with cool water was worth the money. Our guests were very impressed that we have a local vendor that provides such an awesome service. Tim and Jenee were great to work with, very personable and professional. 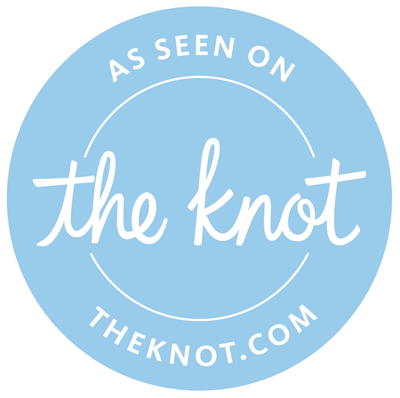 We will definitely use their service in the future.​"
"My wedding was a very "off the beaten path" wedding. Jazzy Johnz had no problem with this. They did whatever they could to make our day perfect! The restroom was the talk of the day. Everyone loved it! The service that they provided was perfect!" "Anyone who has ever hosted an outdoor event in Mississippi in June knows how HOT it can be! Jazzy Johnz' super clean, air conditioned restroom trailer was the HIT of our event. Restrooms were cool (68 degrees! ), clean -- even had a "fireplace," music, mints and air freshener. Tim and Jenee provided outstanding customer service and support. We will definitely book with them again." "Jazzy Johnz delivers a luxurious experience and impeccable hospitality! Of all of the different vendors for our wedding (catering included), Tim and Jenee with Jazzy Johnz completely exceeded our expectations. Having an air conditioned bathroom trailer for our wedding guests was the best decision we ever made. From fresh flowers, mints and an endless supply of toiletries to the ease of access and cleanliness of the unit, I can't imagine it gets any better. Our guests raved about Jazzy Johnz and we couldn't be more satisfied. We would absolute book again!! Book Jazzy Johnz for your next event and you won't regret it! :)"
"My daughter got married on March 11th and our venue was outside at my fathers home. I knew I would need extra restrooms so I began the search for portable toilets and came across Jazzy Johnz Gulfcoast Portable Restroom Trailers. LOVE AT FIRST SIGHT.. I knew I had to have it...it was the first thing I rented for the wedding. This was the most fabulous rental and well worth the money ! Everyone was impressed. Beautiful interior along with a fireplace in women's side. Flowers and a basket of mints were a bonus. Tim and Jenee were a pleasure to work with and Tim made it fit in the space we had ! I recommend Jazzy Johnz without any hesitation at all. You WILL be as happy with them as I was ! Thank you Tim and Jenee for everything! - Ginger"
​"Wedding planning is a lot of fun and always provides us unique opportunities to pull of custom events for our brides. We did a full build out wedding on an empty piece of land, but didn't want to compromise on giving guests a luxury experience even down to the bathrooms. From the ground up, we wanted to create a fairy-tale land outside. I knew we needed a bathroom solution that wouldn't look out of place or make guests feel disappointed. You can't ask a girl in a fancy dress to use a regular bathroom :) I did TONS of research and Jazzy Johnz was perfect! They worked with me quickly, had fabulous customer service, checked on us throughout the event, and delivered restrooms that were the perfect solution to keep our glamorous event in sync!" "Jazzy Johnz bathroom trailer was very clean, air conditioned, well stocked and nicely decorated. They were extremely professional and provided outstanding customer service. Guests were extremely impressed with service and how amazing bathrooms were. I couldn't recommend Jazzy Johnz enough. Thank you very much to making the event a success!" "These restrooms provide the luxurious comfort of your own bathroom at any event. Very easy to get delivered and set up and more than worth the price. We used them at our soccer field, and everyone loved them. These bathrooms made quite an impression on our guest at the field and the players didn't want to leave the bathroom." "I swear that the opposing teams were holding meetings inside, listening to the music, avoiding the mosquitos, and staying warm. I think I actually saw 8+ high school girls all go in at the same time!! Who talked about these new-age porta potties? Everyone! They were clean, comfortable and exceeded expectations." "The trailer was so nice for my daughter's New Year's Eve wedding! I went to take fresh flowers out to the trailer, and you had it all fixed up with poinsettas already! Thanks!" "Biloxi Main Street was extremely pleased with Jazzy Johnz's restroom trailer for "Christmas in the City"! Everyone was amazed at how fabulous the portable bathrooms were! We will use them again for our future events! These are the top of the line in on-site restrooms!" "This restroom unit was the cleanest I have ever been in. It looked good and even smelled good and was delivered and picked up just like they said it would be. This was the perfect solution for too many people and too few toilets." "I trusted Jazzy Johnz with taking care of family and friends for my oldest daughter's wedding. The service and equipment went way above and beyond my expectations. Many of my friends commented on how great the trailer was, especially the cleanliness and how it was decorated. I have recommended them to my other clients and they let me know they were as happy as I was." "From delivery and set-up, Jazzy Johnz exceeded our expectations! The unit was maneuvered into exactly the right spot, not without difficulty! The facilities were beautifully appointed and impeccably clean - we still have guests commenting on how posh they were! We wouldn't hesitate to recommend Jazzy Johnz to our friends!" "One of the biggest hits at our wedding was the bathrooms - they were amazing! All of our guests were amazed as well. We will be highly recommending ya'll to anyone we can!" "OMG everyone was very pleased with the restroom trailer. It was so nice, I couldn’t have asked for better. You don’t understand how many compliments I got about how nice the restrooms were; everyone loved them! I have to say, in the future, I know I will be using Jazzy Johnz again. I would recommend these guys to anyone. The communication was awesome. I wasn’t worried if Jazzy Johnz was going to show up for my event. I was very comfortable they could handle the job. They did an outstanding job and I'm very satisfied with the level of customer service. I made my payments online through their service with Square, which was so easy and offered step–by–step instructions. I wish other vendors that we deal with on a daily basis was as easy as Jazzy Johnz. They delivered and set up everything well in advance for the event. The next day they were here loading the restroom trailer and taking it off site. Jazzy Johnz made quite the impression at our event. When we have Governor Phil Bryant, Senator Wicker and Senator Wicker’s family members attend our event, and they make a comment of how impressed they were with the bathrooms– that says a lot." "As coordinator of the annual Wings Over Wiggins event, I must say it was soooo nice having luxury restroom facilities on site. I have personally used porta potties, which often produce an odor that'll scare even raccoons away. LOL! But the Jazzy Johnz trailer was odor free and felt just like a restroom in an upscale restaurant. My event volunteers must have also been super impressed, since I caught two of them taking pictures of the fireplace inside the women's unit! Needless to say, I am very happy with my decision and will definitely be using Jazzy Johnz again for all my events in the future! Thanks again Tim and Jenee - you two are the hardest working husband and wife duo on the Gulf Coast!" "A beautiful and clean climate-controlled restroom facility. It even had background music. You would never have known it was a trailer until you saw it pull away!" 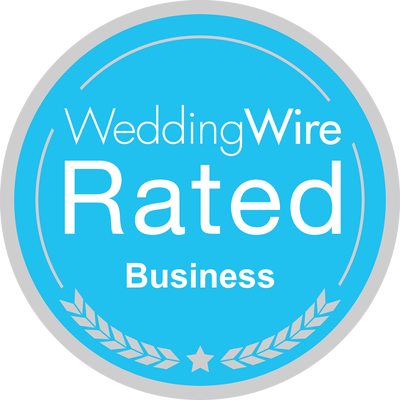 We would be super jazzed up to see your review on WeddingWire!